Espoo, located west of Helsinki, is part of the Finnish capital region. Alvar Aalto’s most famous work in Espoo is the Otaniemi campus, now known as Aalto University. 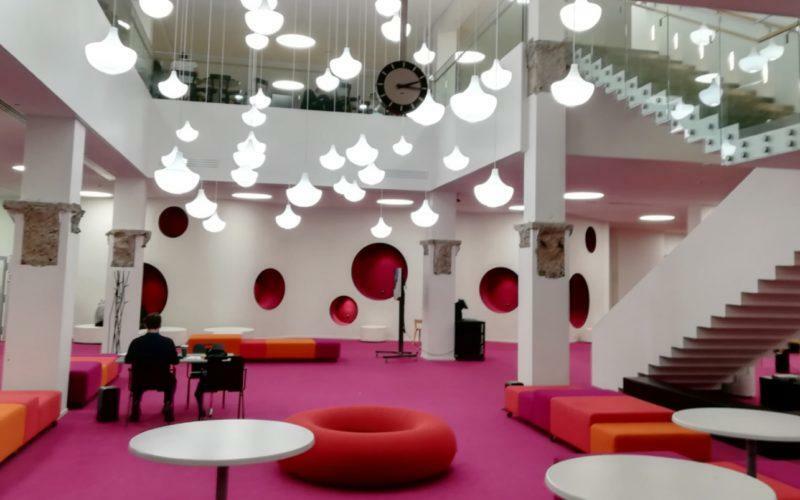 Originally known as Helsinki University of Technology, the campus was inspired by American college campuses and realised as their Finnish counterpart by Aalto. The region is under constant expansion, being close to Helsinki, but Aalto’s works remain in their original use. The center of Otaniemi, Espoo holds a park campus constructed originally in the 1950s, with layout by Alvar Aalto and several buildings designed by him and other famous finnish architects, including Reima & Raili Pietilä and Heikki & Kaija Sirén. 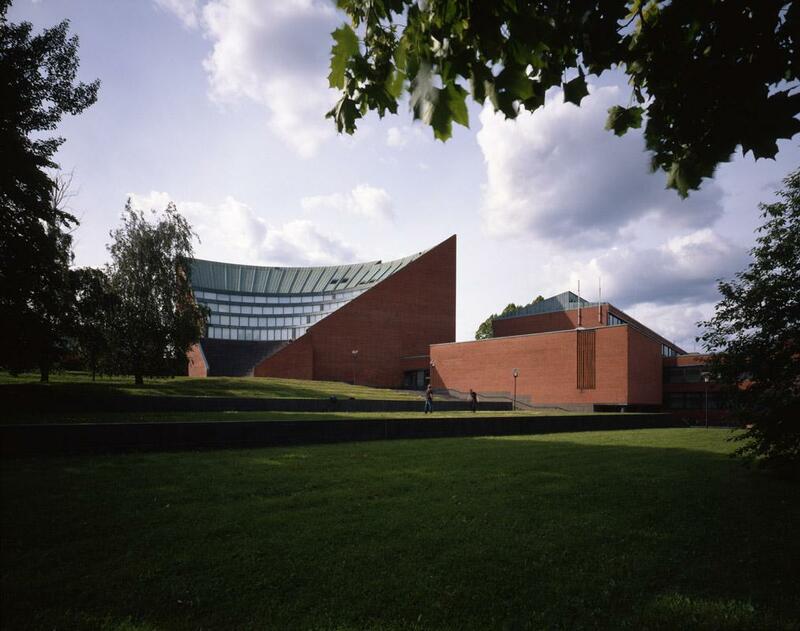 Otaniemi Campus is part of Aalto University, named in honor of the architect. Otaniemi and nearby Harjuviita contain several types of buildings designed by Aalto’s office: from power plant to water tower, and mall to residences. Aalto also made unrealised plans for Espoo residential areas’ layouts. Alvar Aalto won the design competition for the Helsinki University of Technology in Otaniemi, Espoo, in 1949. In addition to the main campus building Aalto’s office designed several others. The main building was designed in 1953–55. The University of Technology is now part of Aalto University and the building is known as Undergraduate Centre. Building work was begun in 1964 and the main building was inaugurated in 1966. It was built on the site of the old Otnäs manor. 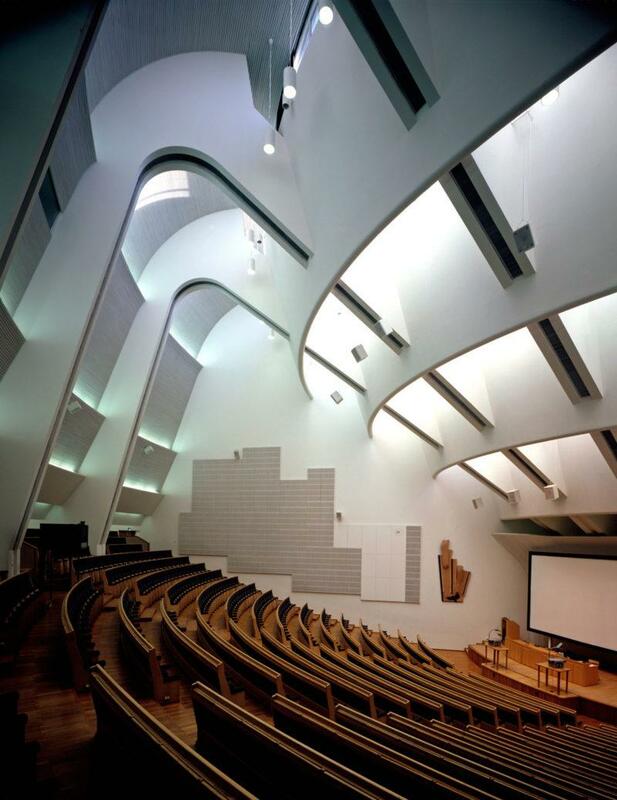 The main building’s stepped auditorium rising above the campus became its main focal point. The amphitheatre is a recurrent theme in Aalto’s architecture. clad in specially made dark-red brick, black granite and copper. The design of the Otaniemi campus was intended to separate pedestrians from motorized traffic. Footpaths connect the various department buildings in a park-like setting. The entrance to the main building is easily reached via both the motorized and pedestrian routes. The main building was later extended and substantial supplemental building still goes on in the Otaniemi area. Campus area is open to visitors. Helsinki University of Technology Library, together with the main building, forms the centre of the Otaniemi campus. The library nowadays goes by the name of the Harald Herlin Learning Centre. The entrance to the redbrick-clad building is from the park and Otaniementie Road side. The reading room and loan library are on the second floor. The focal point of the space is the large loans counter, from beside which stairs lead down to the entrance floor. The library interior was designed to make it pleasant to work in. 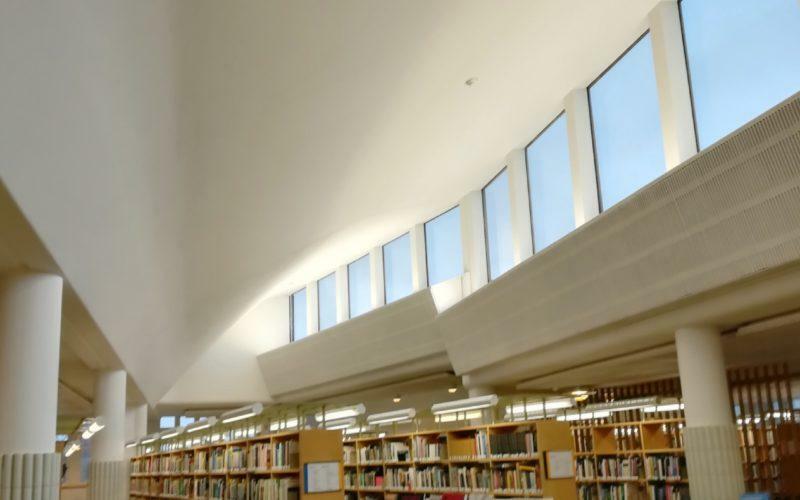 The loan library and reading room get natural light indirectly from the skylights and clerestory windows. Aalto’s design also sought to keep out the noise of traffic on Otaniementie Road. Open for library use. Campus area is open to visitors. 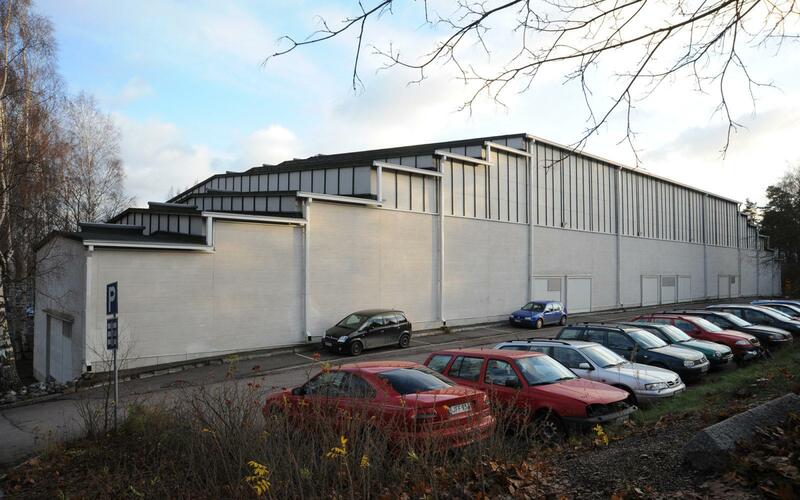 The design of Otaniemi sports hall was begun in 1950 and it was first used for the summer Olympics in Helsinki in 1952. The building is known as the Otahalli. The building originally had two parts, a small hall clad in white brick and a larger one in wood with an earth floor. 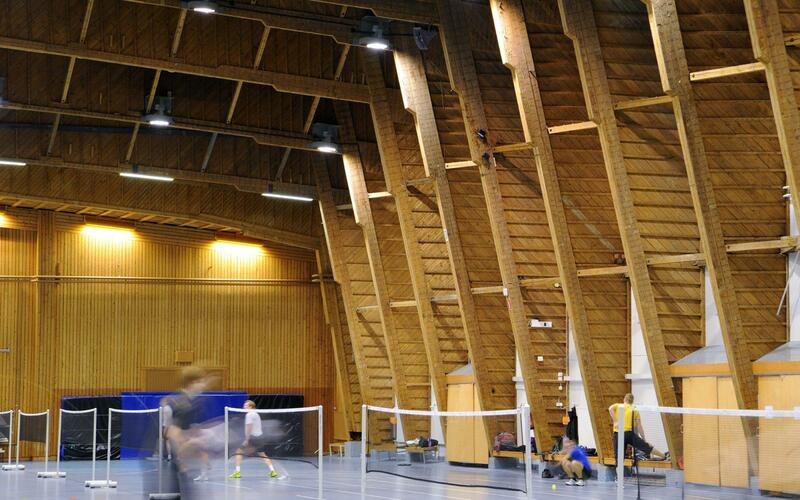 The roof truss in the wooden hall spans 45 metres. Aalto planned a spectator stand to go between the halls. Numerous changes have been made to the building over the years and it is still in its original use. Open for use as a sports hall. The central-heating power plant on the Otaniemi university campus was built in two stages in 1960–64. The power plant in the middle the university campus is just one example of Aalto’s power-plant architecture. The building’s façade is clad in red brick. The large windows reduce the building mass of the power station. The interior is visible through the rectangular windows. This is a manifestation of modern architecture’s romanticizing attitude to technology. 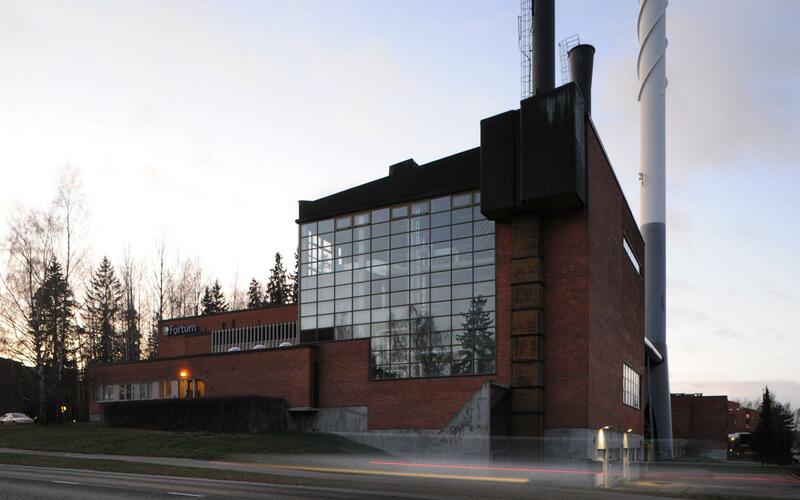 Aalto designed several power-station buildings, often in conjunction with industrial plants. The power station at Otaniemi is in a central position and prominently on display. The building has been extended and alterations have been made over the years. Power Plant is viewable from the outside. The region is under constant expansion, being close to Helsinki, but Aalto's works remain in their original use. 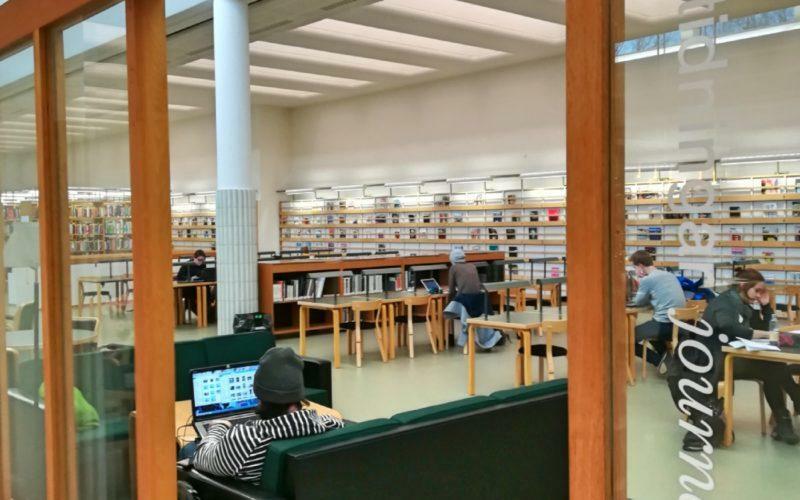 Aalto University is located about 10 kilometres away from the city centre of Helsinki. 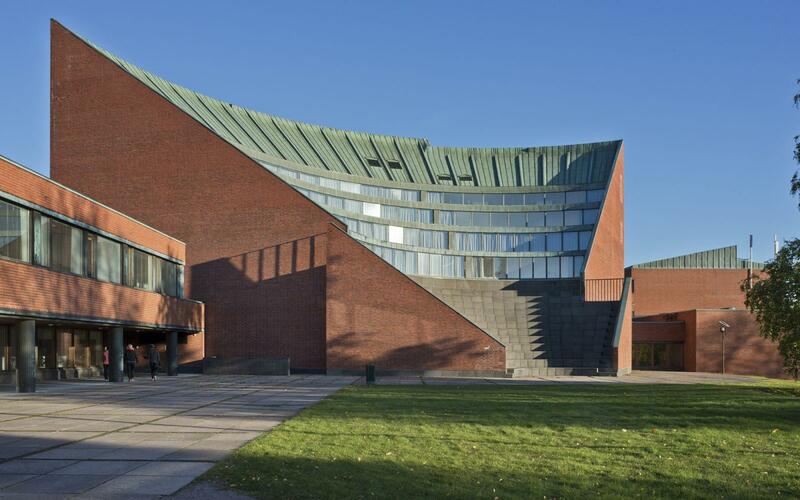 The Undergraduate Centre designed by Alvar Aalto was previously known as the University of Technology main building, and it is located on Otakaari 1. Easiest way to reach Otaniemi from Helsinki city centre is with a metro. There are also good connections from elsewhere in Espoo as well as from the airport. Please check your route advance from the journey planner! Depending on the season, you can also reach Otaniemi with a bike – you can for example rent a city bike with a small fee. You can find more information about the campus area on Aalto University website as well as download a handy map of the area. Please note that you can purchase publications about Alvar Aalto’s architecture in Otaniemi from Alvar Aalto web shop!